They say the most riveting climbing stories come from tragedies. I totally agree, but success does not take away the beauty or pride of a well-executed climb or backcountry trip. In the summer of 2016, I traveled to the state of Washington to not only attempt my first unguided glaciated climb, but to also stay in a secluded fire tower with breathtaking views of Mount Baker. I climbed Baker with my good friend and favorite climbing partner Han. After a flawless ascent, I headed back down to town to meet up with an amazing photographer and one of my best friends Brad North to trek up the Park Butte Lookout tower. Everything went smoothly, and I managed to grab some great images along the way. Hope you enjoy. Our approach to Hogback to build camp. According to the National Park Service, ” The Ozark National Scenic Riverways is the first National Park area to protect a river system. The Current and Jacks Fork Rivers are two of the finest floating rivers you’ll find anywhere.” In an effort to help share this special place with the world, we are planning another first. We have always been looking for new ways to explore and experience the Current River in Southern Missouri. We first started canoeing the river every summer as kids, as we grew older we began taking longer trips, camping on the gravel beaches, backpacking along the Ozark Trail, and eventually exploring the entire region. The plan for our next adventure is to paddleboard the length of the Current River inside the Ozark National Scenic Riverways – A 104 mile journey that we have set aside a week to complete. From our very limited research, we think this is the first time this has ever been attempted (and there may be good reason). 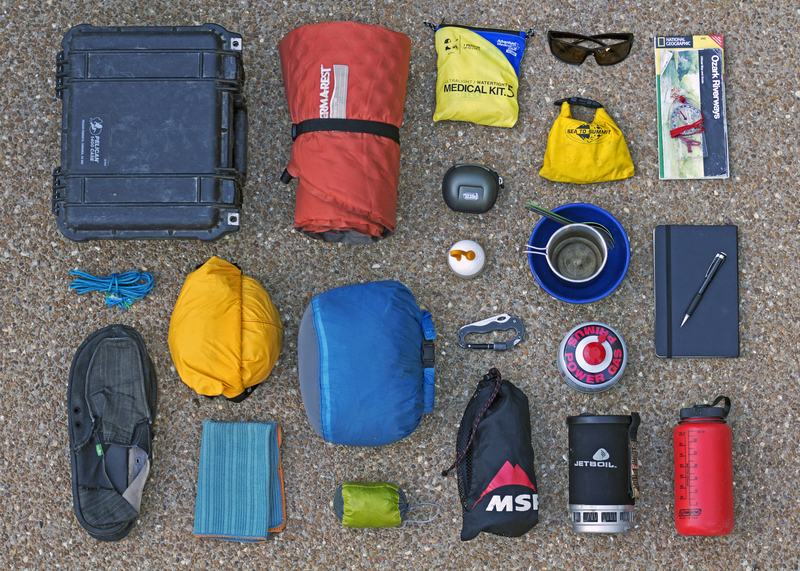 As we prepare for this expedition, there are only a few things we can plan for certain; when and where to start, who will shuttle our vehicle, what food to bring and what gear to pack. Everything else, we just have to be ready for and that’s the wilderness experience we search for every time we depart. Follow our expedition on Facebook and WheresMalko.com. In March of 2015, while Tom was out West exploring in the desert, my girlfriend Rachel and I decided to challenge ourselves in the Ozarks. With the Jacks Fork River being one of the many common interests that brought us together in the first place, we knew it had to be involved. I had floated the entire river numerous times, but never on one trip. Rachel had been on a few overnight float trips and endless day floats. After a little disagreement on which section to float, we threw our hands up and decided to float all 46.5 miles of the Jacks Fork. So we started at the beginning, on the South Prong, a creek that, when joined by the North Prong, starts the Jacks Fork. You need high water to put a canoe in on the South Prong. But on the day before we set off, the water on the Jacks Fork was way too high, causing some of the lower sections to be closed. With a little luck and the quickly fluctuating water levels of spring, the water level was perfect by the time we were headed to the Prongs. Setting up camp on a remote beach, watching the sunset behind a massive bluff after a long day of paddling is our idea of home. Add a few good buddies, a campfire and cold beverages, and what more could you ask for? Any day paddling is a good day, but being able to totally immerse yourself on a scenic river for a few days is without a doubt one of the best ways to explore. On a recent overnight trip down the Current River, we noticed we were the only two canoes on a 25-mile section. While it was nice to have this amazing river all to ourselves, it was difficult not to wonder where everyone was. This has prompted us to put together some helpful information that hopefully will inspire others to undertake longer river trips. 1. 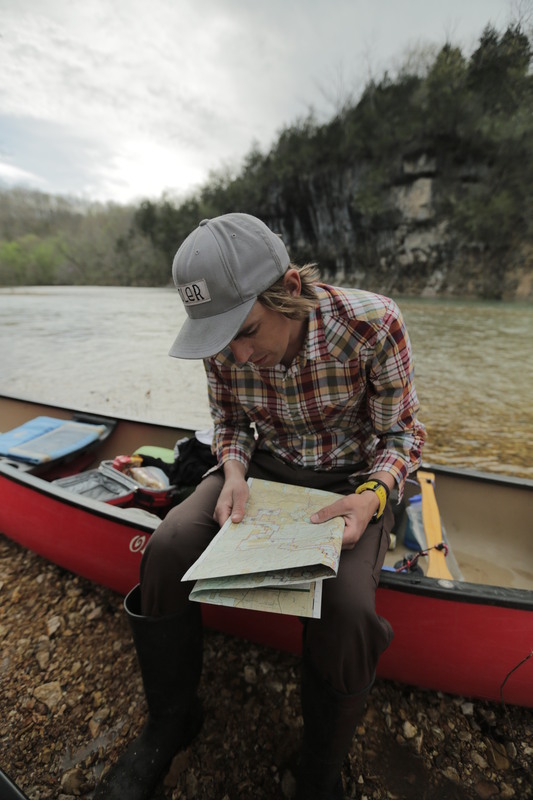 Bring and study a map: Yes, rivers flow downhill and it’s hard to get lost, but maps can help you explore the river. More importantly, knowing the relative distance between access points and features will help pinpoint your location. Knowing your location will help you stay on track, paddle the necessary miles in each day, and make it to your takeout point on time. Growing up on the rivers and lakes of the Midwest, I naturally fell in love with water. But recently, I’ve been flirting with deserts. I think it’s something about extremes. I have always enjoyed the solitude of nature just as much as crowds at a concert. Compared to my normal weekends in the middle of the country, an extreme for me is a place like Joshua Tree National Park in California. 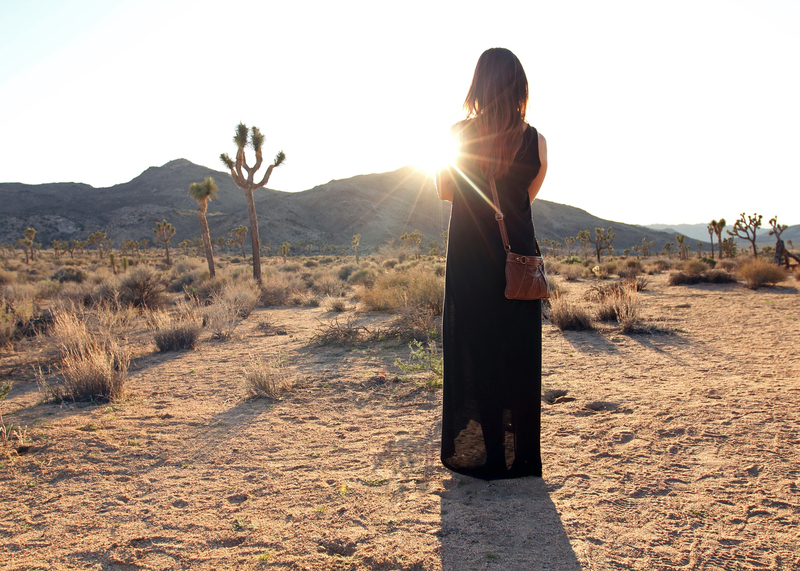 It was there, on a trip this March with my wife to Joshua Tree, I fell in love with the desert. Before I visited the deserts of the Southwest, I thought of it as a barren, expansive waste land. It sounded interesting, but not the kind of place I would bring my wife on vacation. This couldn’t be further from the truth — everything about the park is magical. When I first decided to climb a mountain in Peru in July of 2014, I found myself distracted from the climb itself by the long solo journey I would have to take just to get to the mountain. 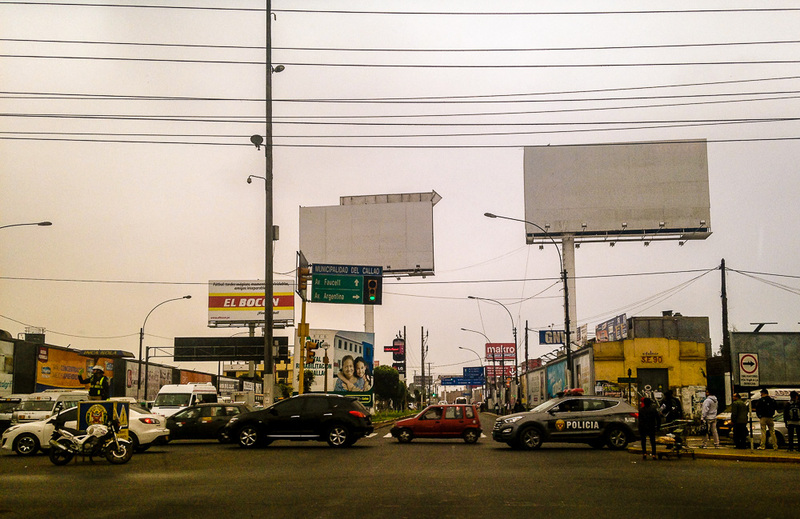 After a couple of layovers and 11 hours in the air, I made it to Lima by about midnight. My ride to the bus station wasn’t due to arrive until 8 a.m., so I found a quiet place and spent the night there in the terminal. After a sorry excuse for a night’s sleep, I took a wild, one-hour cab ride, followed by a 10-hour bus ride north up the coast then west up into the Cordillera Blanca, a range in the Andes. Nestled in the shadows of Peru’s highest peaks is the beautiful town of Huaraz. I spent a few days acclimating there and a couple of days at base camp before my group made its way toward the summit of Chopicalqui. At 20,846 feet, the summit of Chopicalqui is over 6,000 feet higher than anything I have ever climbed. Below is the journey in words and pictures. At Lambert-St. Louis International Airport, where the journey began. 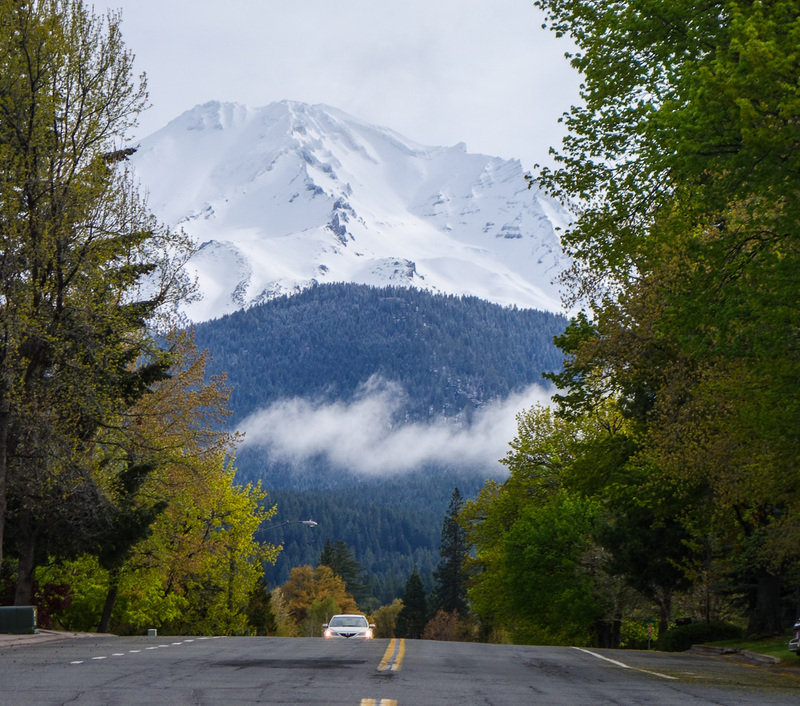 Mount Shasta is the second highest mountain in the Cascade Range. The Karuk tribe, the indigenous people of Northern California call it Úytaahkoo or “White Mountain.” In April 2014, my plan was to climb White Mountain, not by means of the standard route (Avalanche Gulch) but by a long, sharp spine called the Casaval Ridge. With over 7,000 feet of elevation gain, and a mix of snow and rock, the snow pack must be perfect for this route to be climbed. When I arrived to my hotel night before the climb, the conditions were perfect. Early the next morning, I picked up a local guide and we made the 30-minute drive from the town of Mt. Shasta, California, to the trailhead. The guide told me he had climbed the mountain more times than he could count and knew it like the back of his hand. But even with so much experience on Shasta, he had never before summited the mountain via the Casaval Ridge. He had made 10 attempts on this route in the past, but always had to turn around because of the conditions on the ridge not being right — either bad weather or an insufficient climbing partner. 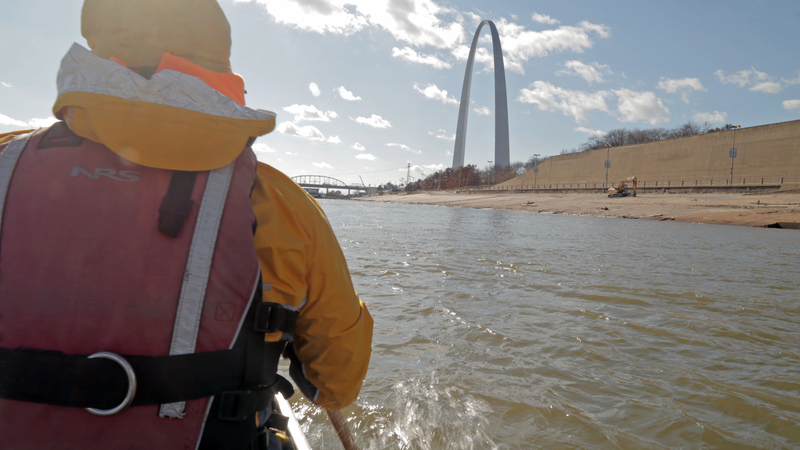 Ever since I have been a serious paddler, I have wanted to see St. Louis and especially the Gateway Arch from a canoe. On a freezing November morning, I finally got my chance. From what I have heard the waters around St. Louis are some of the most dangerous along the Mississippi River, although I have floated hundreds of miles of the Missouri River, this was an entirely different experience. Luckily I was with the Quapaw Canoe Company, some of the finest big river guides I have encountered. They were putting the finishing touches on the Rivergator, a paddlers guide to the Middle and Lower Mississippi River, and I had the privilege to tag along. Click here to read their log of the trip. 1. There is always a new way to look at your hometown. No matter how well you know a place, you can always rediscover it.